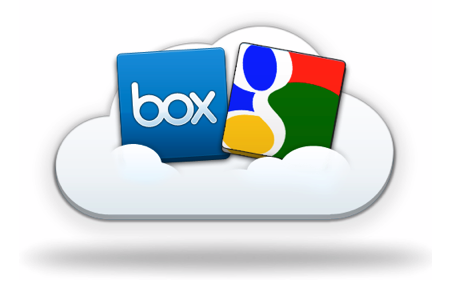 Google and Box.net are Accelerating the cloud workforce. Box.net now allows Google docs to be shared on the Box.net website making it convenient to store, edit, collaborate and more with the combined forces now meeting in the cloud. Give them both a try and since each of the services is FREE, save yourself a few bucks purchasing any offline software, have some peace of mind, and sleep better knowing your content is safely stored out on the web and in the cloud.